Il WWF organizza un ciclo di incontri presso la nuova sede alle ex Serre di via Tommaso da Cazzaniga (interno dei giardini comunali; metro 2, Moscova). Un importante interrogativo, soprattutto in questo momento in cui la nostra città si avvicina a Expo. L’agricoltura deve essere ripensata per soddisfare i bisogni di una popolazione mondiale in crescita e diventare allo stesso tempo uno strumento di riscatto sociale ed economico, nel rispetto dell’ambiente. L’evento è organizzato da WWF Lombardia e Associazione Nostrale. 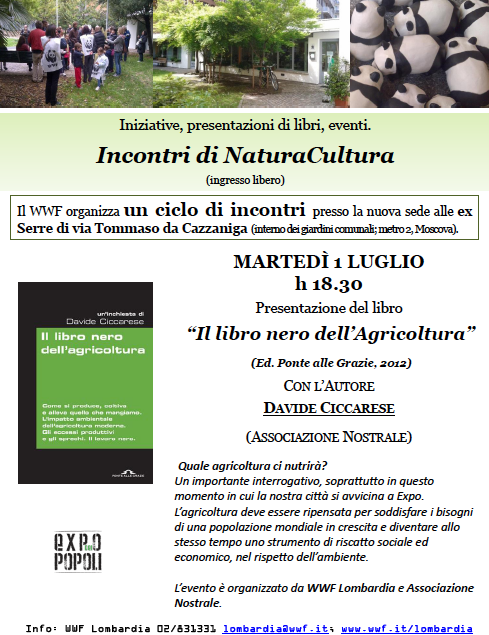 This entry was posted in Uncategorized and tagged AGRUICULTURE, CIBO, EXPO2015, food, FUTUREFOOD, orto, RURAL, URBANFARM. I’m sure that many of you have ridden Living with the Land at Epcot’s Land pavilion many times. And if you’ve gotten off this attraction and said to yourself, “That was nice, but it sure wasn’t Test Track”, then you might want to skip this review. But if you’ve been impressed with the information presented on this 13 minute journey through the future of farming, then read on. 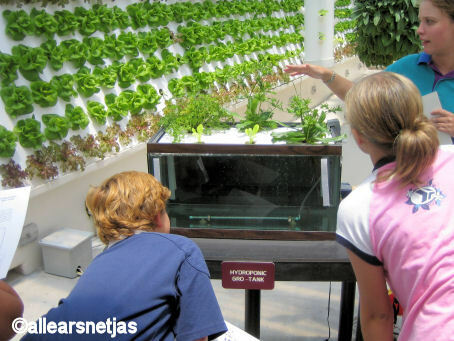 This entry was posted in Uncategorized and tagged DISNEY, food, FUTURE, HYDROPONIC, PAVILLON. While it’s easy to imagine this kind of process being labeled as a bunch of new age science fiction, hydroponics has actually been in use for thousands of years. The famous Hanging Gardens of Babylon, one of the seven wonders of the ancient world, are largely believed to have functioned according to hydroponic principles. Built around 600 B.C. in Babylonia, or Mesopotamia, the gardens were situated along the Euphrates River. The area suffered from a dry, arid climate that rarely saw rain, and it’s believed that the lush gardens were watered using achain pull system, which carried water up from the river and allowed it to trickle down to each step or landing of the garden structure. During the 10th and 11th centuries, the Aztecs developed a system of floating gardens based on hydroponics. Driven out of their land, they settled at Lake Tenochtitlan. Unable to grow crops on the lake’s marshy shore, they built rafts out of reeds and roots. These rafts were topped with a bit of soil from the bottom of the lake, and then floated out to the center of the water. 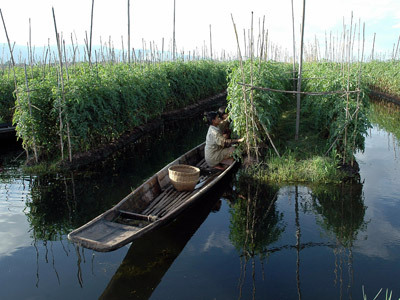 Crops would grow on top of the rafts, their roots reaching through the rafts and down into the water. Marco Polo’s writings indicate he witnessed similar floating gardens while visiting China in the late 13th century . This entry was posted in Uncategorized and tagged food, History, Hydroponics, urban. BrightFarms finances, designs, builds and operates greenhouse farms at or near supermarkets, cutting time, distance, and cost from the produce supply chain. 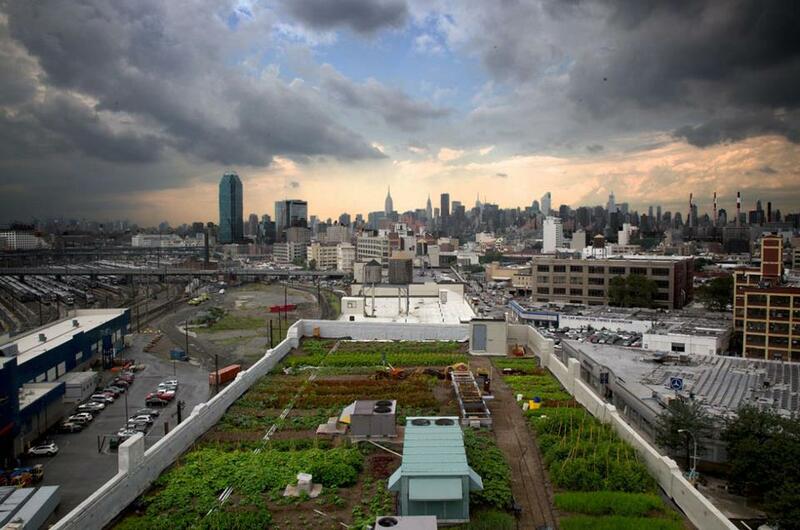 We’ve been in urban agriculture since 2006. 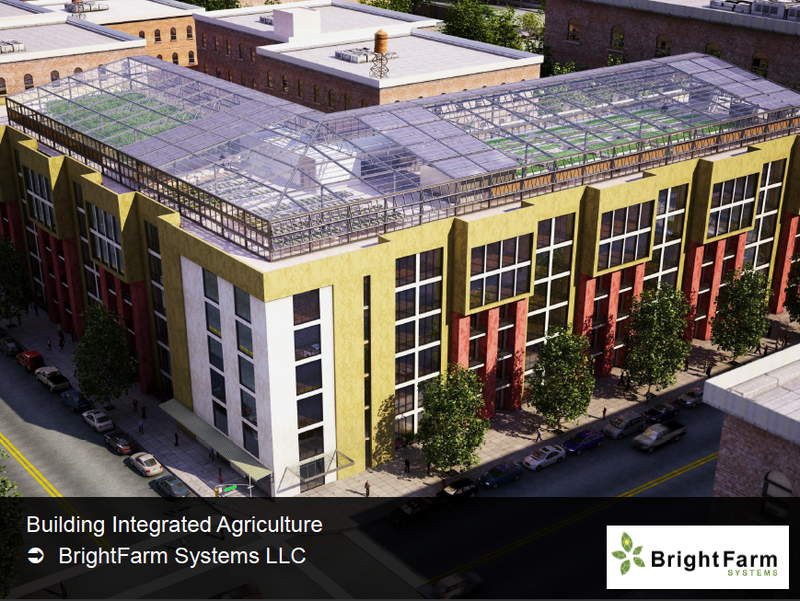 BrightFarms grew out of non-profit New York Sun Works (NYSW), launched by urban farming visionary—and BrightFarms board member—Dr. Ted Caplow. 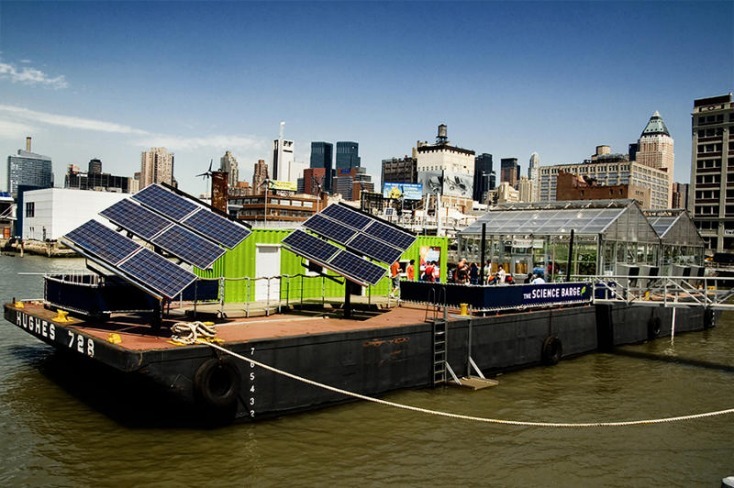 NYSW created the renowned Science Barge, a prototype, sustainable urban farm and environmental education center on the Hudson River. Following its success, we were flooded with requests to build science-barge-like projects. In 2007 we created a for-profit greenhouse consultancy, BrightFarm Systems, to respond to the demand. This entry was posted in Uncategorized and tagged agricolture, COOL, food, smart, urban. The Science Barge is a prototype, sustainable urban farm and environmental education center. It is the only fully functioning demonstration of renewable energy supporting sustainable food production in New York City. The Science Barge grows tomatoes, cucumbers, and lettuce with zero net carbon emissions, zero chemical pesticides, and zero runoff. From May to October 2007, the Science Barge hosted over 3,000 schoolchildren from all five New York boroughs as well as surrounding counties as part of our environmental education program. In addition, over 6,000 adult visitors visited the facility along with press from around the world. and special economic advisor to the United Nations. This entry was posted in Uncategorized and tagged agricolture, education, food, smart, urban.